Below you will find details of the eight available projects including a project description, memebers of the advisory team, UQ enrolling unit and CSIRO Future Science Platform. The projects cover a range of research areas and the academic background of the ideal candidate is different for each project. What is the role of scientific evidence in informing opinions about novel technologies? What other key factors inform opinions and perceptions of risks and benefits? What types of science communication messages and methods are effective and impactful in developing socially responsible engagement with the lay public? This research is an important step in maximising the impact of Synthetic Biology science, as it will help to establish effective communication pathways between scientists and those receiving the message – whether it be the general public or other important stakeholders. Honours degree or Masters degree in psychology or related field. Experience using quantitative and/or qualitative methods. An interest in risk and science communication. The willingness to travel as required for portions of the PhD candidature. You are what you eat: Who will use personalised foods? Imagine food that could be tailored to your genetic make-up and your individual needs. Imagine being able to buy foods that are personalised to your body as well as your exercise or bodily goals. The rise of consumer genetics has seen increasing access to and use of personalised genetic testing for a range of uses from recreational ancestry studies to targeted health management. Alongside this, increasing information is being passively collected via sensors in many modern technologies and lifestyle apps that continuously monitor, collect and share data about ourselves and our environment. Given that genome sequencing has made it possible to unlock a person’s unique DNA identity and the increasing ubiquity of personal data collection, we now have the capacity to develop and deliver highly personalised services and experiences and these are increasingly sought after. The personalisation of food to suit our unique genetic/environmental identity is one area that has the potential to deliver tailored health, performance and well-being outcomes. Who is the ideal consumer of personalised foods or supplements? What are the perceived benefits of choosing an alternative to mass produced foods? What are the potential risks or negative factors that a consumer may experience from having or accessing personalised foods? What impact will these risks have on acceptance/use? What drives a consumer to seek out personalised food? Does social identity play a role in influencing these decisions? If so, how? An exploratory stage that scopes the issue with a view to identifying the range of attitudes towards the prospect of personalised foods. In this stage qualitative interviews will be conducted. The results of the analysis of this data will inform stage 2. A quantitative stage that considers the spread of attitudes in a representative sample. Honours degree or Masters degree in sociology, anthropology, or related field. Experience conducting semi-structured in-depth interviews. An interest in nutrition or the social science of food. From Fitbits to Strava to cloud-connected heart monitors, individualised digital health tools are increasingly used to monitor, track and manage people’s health. They are also providing useful data to build health care interventions to help us understand and manage health at individual and population scales. This results in rich datasets that provide a magnitude of data that can be used to enhance individualised or Precision Preventative Health Technologies (PPHT). Obtaining user consent and compliance with applicable (e.g., ethics) rules remains as the major challenge. How can the potential uses of these datasets be accurately captured and reflected in the consent provided by consumers? To what extent do consumers understand the use of data and its implication on privacy and security when consent is given? This research project work towards creating a cognitive understanding regarding security and privacy implications when providing consent. The resulting knowledge will help researchers understand how can the security and privacy protocols be designed to give users custody of their own data and in this way establish trust in the data (e.g., by researcher) and data platform (e.g., by consumer). The candidate should have a strong interest and research grounding in aspects of human behaviour when exposed to situations demanding trust, security and privacy decision making. An interest in philosophical ethics and health social science, and desire to gain broad knowledge on cyber security would also be advantage. Technology significantly impacts how health care is delivered and accessed, and recent years have seen the development of with novel and exciting health applications such as genetic tests to identify disease biomarkers and wearable sensors to passively track activity and support lifestyle interventions. Although these technologies hold great promise to improve health, they also unlock new ethical dilemmas, data security concerns; and the perspective of the consumer is rarely prioritised in application design. The current project will investigate these issues from the perspectives of consumers and the broader Australian community, drawing upon methodologies including discourse analysis of media texts to understand community-level concerns around previous/recent events (e.g. My Health Record, 2016 ABS census), and citizen juries to elicit the consumer voice and understand their wants, expectations, and concerns surrounding new health technologies. Findings may be used to inform policy and the design of user-centred health applications into the future. The project will employ a range of research methodologies and include face-to-face conversations with members of the community. The ideal candidate will therefore possess a sound understanding of basic social science research principles, including the design, administration, and analysis of survey or interview-based data collection methods, and excellent communication skills and ability to build rapport with diverse groups of people. An interest in the intersection between technology and health is also desirable, as well as flexibility and openness to learn new research skills. 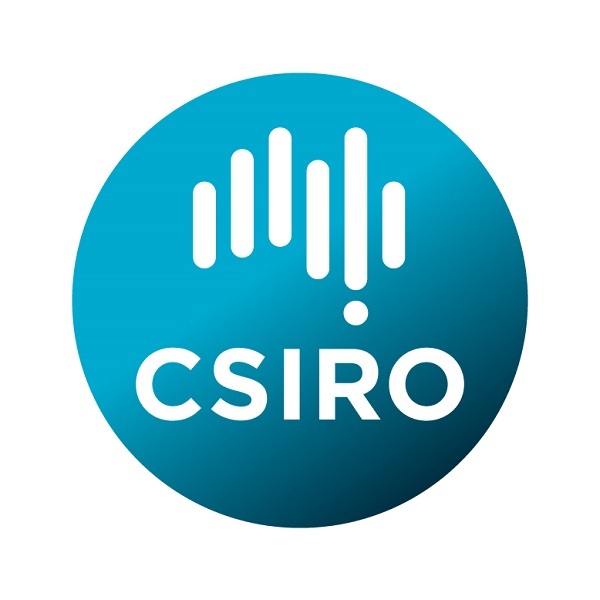 The student will be required to participate in various cohort activities associated with the CSIRO-UQ Responsible Innovation PhD cohort. Students will be required to sign a Student and Intellectual Property Agreement to accept their offer. To apply for the CSIRO-UQ Responsible Innovation scholarships, follow the instructions below. Prior to applying, check your eligibility for the PhD program (above) and prepare your documentation. You should also contact the UQ members of the advisory team for your preferred project to discuss your suitability prior to submitting an application. submit a 1-2 page outline of a project you would undertake within the advertised area that draws on your area of interest and expertise. You will be able to upload this in the 'Evidence and Document Upload' section of the Online Application.